Pam Hindmarsh has been operating on the production and stage management side of professional theatre for 30 years both nationally and internationally. Senior Tutor at Toi Whakaari: NZ Drama School. 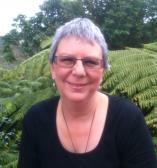 Pam’s recent freelance work has been for NZ Opera, Capital E and commercial touring shows. Currently Pam is a producer and Head of Production for Nextstage Theatre Company.